Newly Re-mastered in HD! 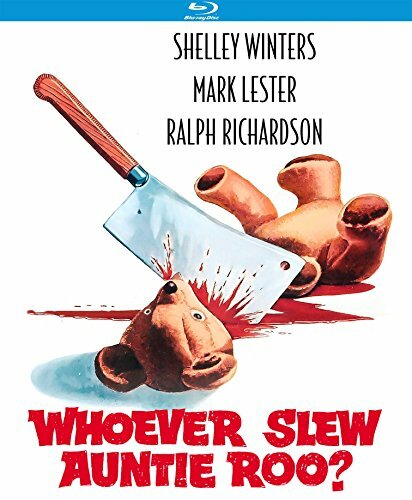 Auntie Roo (Shelley Winters, He Ran All the Way) just loves children... to death. After the mysterious disappearance of her daughter, Auntie Roo has been looking for a 'dead ringer' replacement. And this time she found one... from the local orphanage! But what is she to do with the girl's pesky brother when he discovers Roo's terrible secret in the attic? Top-notch direction by cult filmmaker Curtis Harrington (Queen of Blood, Night Tide) and featuring great performances by Mark Lester (Oliver, Eyewitness), Chloe Franks (Tales from the Crypt), Lionel Jeffries (Chitty Chitty Bang Bang), Hugh Griffith (Ben-Hur) and the great Ralph Richardson (The Fallen Idol). Whoever Slew Auntie Roo? was the follow-up to What Ever Happened to Aunt Alice? and What s the Matter with Helen?.